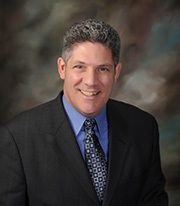 David J. Zumpano was born and raised in Central New York. He began his professional career with Price Waterhouse as a staff accountant. He later graduated from Syracuse College of Law and started his legal career with a regional law firm. After two short years, he started the Law Offices of David J. Zumpano, remaining "of counsel" to his former firm. Since, his firm has grown twenty fold and is known as the Estate Planning Law Center, David J. Zumpano CPA, Esq. The Estate Planning Law Center serves as a "model law firm" to hundreds of law firms across the country. Dave's practice remains focused on estate planning, asset protection, and elder law. Dave has been featured in the Wall Street Journal and National Public Radio and is a regular speaker and trainer on estate planning, asset protection and Medicaid Planning to many national legal organizations and banking and financial institutions, including the National Academy of Elder Law Attorneys, National Network of Estate Planning Attorneys, American Academy of Estate Planning Attorneys, American Association of Attorney-CPAs, Ohio State Bar Association, WealthCounsel, LLC, Advisor's Forum, LLC, ElderCareUSA, Ameriprise Financial, Morgan Stanley Smith Barney, Merrill Lynch. HSBC, Bank of America, Prudential, Mass Mutual, AXA Advisors and others. In addition to his law firm, Dave is Founder of the Medicaid Practice Network and Medicaid Practice Systems, LLC (MPS) and Co-Founder of Lawyers With Purpose, LLC. MPS and LWP have educated thousands of attorneys on Estate, Asset Protection, Medicaid, and Veterans Benefits Planning. Dave is also the creator of a Law Practice System for attorneys to provide comprehensive Estate, Medicaid and Asset Protection Planning to clients, which has been implemented by over 500 law firm's nation wide. Dave also serves as a Business coach to attorneys across the country. Dave has published Irrevocable Pure Grantor Trusts: The Estate Planning Landscape Has Changed. (Syracuse Law Review Vol. 1 Fall 2010) and What Hard Work Giveth, the Nursing Home Taketh Away: Asset Preservation Under Medicaid (the Digest, 1994-95). Dave is also a contributing author to Giving: Philanthropy for Everyone, published October 2002. Dave's first priority and passion is his wife, Christine, and their children, Maria, Olivia, and Angelo.